Brother Steve Herron came to visit him on campus and they began a decades long friendship and partnership. The re-founding father class of 12 brothers was off and running. 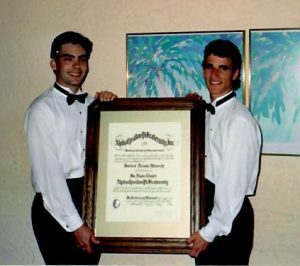 By the time the brothers received their charter in 1992, the group had grown to nearly 30 men. During law school, Brothers Feld and Jacobson also served as co-chapter advisors at the Zeta Tau chapter at the University of California-Irvine. After graduation, Jeff began a career as a prosecutor and lawyer. He moved to Tuscon, AZ to take on a job as a deputy county attorney and became the chapter advisor for the Upsilon Alpha chapter at the University of Arizona. In 2001, he met his future wife, Rachel, through J-Date. “I was actually at a chapter meeting at Arizona and had to leave early to meet her. I remember telling the brothers I was going to meet ‘the pharmacist’ and laughing about it. We’re still together 17 years later,” said Jeff. 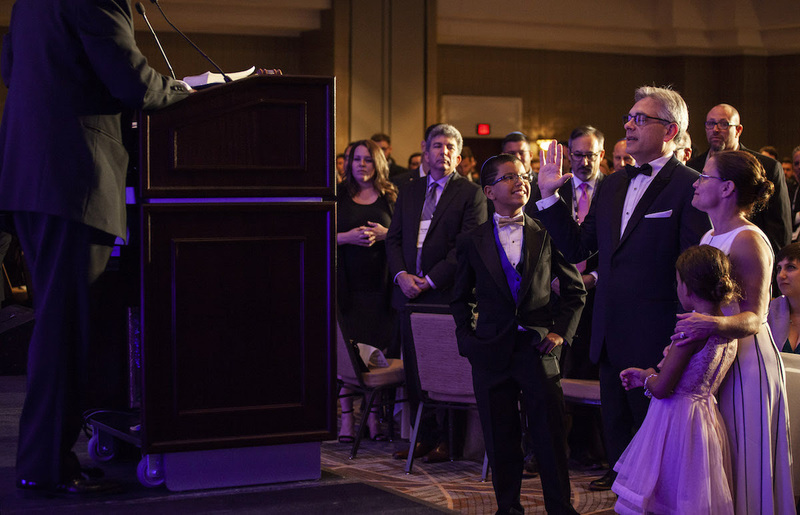 “When I first met him – our very first meeting – it was on a Wednesday he came straight from a fraternity meeting; he was the chapter advisor at the University of Arizona at the time. I had no idea what I was getting into. As we started dating more, he was always traveling, going to conventions and visiting chapters. He was gone so much and it frustrated me. I didn’t understand it. I was like, ‘You’re a grown man, why are you still in a frat,” said Rachel Jacobson, Jeff’s now wife. “I’m not sure I completely understood it until Jeff took me to my first convention in Nashville in 2001. I remember taking the elevator down to where the fraternity was and I saw this swarm of guys and my first thoughts was, ‘Where were all of these cute guys when I was in college?’ I remember that he walked into the room and everyone knew him and was hugging him. That was very new to me. He’s got a world of friends wherever he goes,” said Rachel. 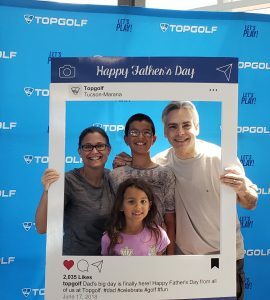 Brother Jacobson and Rachel have two children, Sam (11) and Shoshana (8).